Today, organizational success depends upon its ability to embrace diversity. Employees from diverse backgrounds bring a diverse collection of skills and experiences. Although diversity is often used to refer to differences among individuals such as ethnicity, gender, age and religion, there is a growing awareness that disability is a natural part of diversity, and businesses can benefit by taking steps to ensure people with disabilities are represented in their workforce. Additionally, Section 503 prohibits federal contractors and subcontractors from discriminating in employment against individuals with disabilities, and requires these employers to take affirmative action to recruit, hire, promote, and retain these individuals. Federal regulations established a nationwide 7% utilization goal for qualified individuals with disabilities. 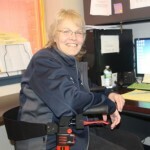 Vocational rehabilitation and disability employment programs help people with disabilities enter the workforce, however these individuals are often under-employed, and employers don’t have a resource they can used to find qualified people with disabilities to fill higher level position s within their organization. 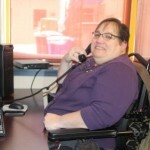 The Center for Disability Rights (CDR) is filling that need by providing a free service that connects employers interested in hiring people with disabilities with qualified candidates. Job seekers with disabilities who are eager to advance their career, change jobs, or replace a former position will have a recruitment and placement program working strictly on their behalf. Employers who are interested in finding qualified candidates with disabilities can sign up for this free service. After providing some basic information about the company or organization and setting up an account, an employer can post specific job listings. The Center for Disability Rights (CDR) will review the posted positions and determine if any candidates with disabilities match the qualifications. If there is a match, CDR will forward the candidate information to the employer. 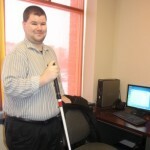 This is a free matching service to connected employers with job seekers who have disabilities. CDR is not serving as an employment agency, does not meet with candidates to review their qualifications or discuss the accommodations individuals may require. Job seekers with disabilities can sign up for this free service. Simply set up an account and provide the Center for Disability Rights (CDR) with basic information on your qualifications. As employers post positions on the system, CDR will review the posted positions and determine if any candidates with disabilities match the qualifications. If there is a match, CDR notifies the prospective candidates about the available position. Based on the information provided by the employer, each candidate reviews the position. If the candidate is interested in applying for the position, CDR will forward the candidate information to the employer. This is a free matching service to connected job seekers who have disabilities with potential employers. CDR is not serving as an employment agency, does not meet with the companies to review their available positions or negotiate terms of employment. CDR will keep your information confidential and only release your information to the employers you authorize.